hurricane Irma and take our 5th wheel up to Michigan. We had to do some title work on our camper anyways in Michigan, so decided to just go and do it then and outrun a hurricane. We ended up being gone for two weeks so that cut into our work a bit since we couldn't find and list much because we were traveling, and also the time spent prepping our home for a hurricane. If you are new around here, we wanted to let you know why we post these reseller income reports. If you are part of the flipping fam already, you can scroll down to see this months flips. We decided to start posting our income reports here from Flea Market Flipper for several reasons. The first one is to keep ourselves accountable. I have been a reseller and flipping items for profit for over 20 years now, and I have never kept track of what I've made. It was always a hobby – but one that came in handy when finances were tight. Once we decided to take this more serious we started keeping better records. It has helped us tremendously keep track of what is going in and out each month. Another reason is to provide encouragement to people who want to get started flipping items for profit as a part time or full time income. It is pretty popular in the blogging world for bloggers to post their income reports, and we always found it encouraging to read those. They help us keep going when sometimes we would rather be doing other things, so we were hoping to help the reseller out there to keep going! I found a total of 5 generators in my garage(s), and so I started to check them out and fix them up as needed. (Clean the carburators and fixed a few other little things here and there.) I only had time to fix and post three of them, and of course all of them sold. Now, before you think I took advantage of anyone, I have to be clear that's NOT the name of the game for us. We didn't jack up the prices because there was a need, I just fixed what was sitting in my garage for a few years and we sold them for a normal price. Check out our post Does buying and reselling take advantage of people? to see more about what I think in this topic. We sold the three of them for a total of $1,200. One sold for $200, and two others for $500 each. One of them sold to a friend, and the other two were to Facebook people who were all really nice. We even made friends with one couple and made plans to hang out with them after the hurricane. (We like cool and nice people). I've had these generators for so long, I'm not sure what I even paid for them. I know one of the $500 ones we bought new a few years ago (we never buy new – what was I thinking! ), so we actually lost $100 on that one. 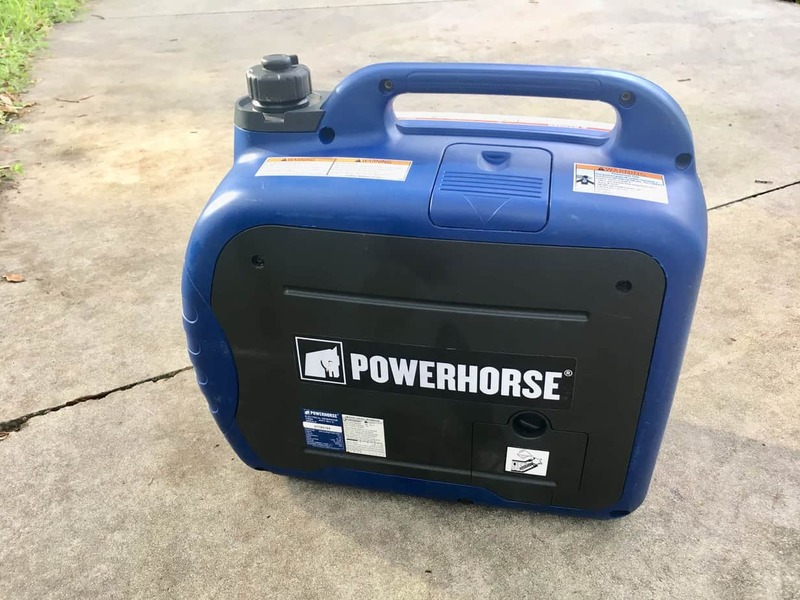 I would say I probably spent an average around $75-$100 on the others, so we will say we spent a total of $775 (a couple years ago) on the three generators that we sold for $1,200. Our big money maker for the month was a flip I have already talked a bit about. It was our teak patio set. I spent $100 on a set of four chairs, one love seat, one table, and four bar stools. We cleaned them, oiled them, and posted them for sale. Separately. We listed the four bar stools separate from the rest of the set and ended up selling the larger set (minus the bar stools) first for $1,800. 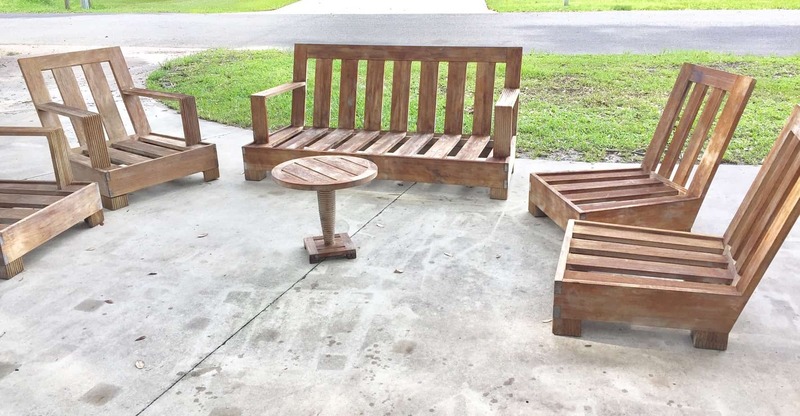 I contacted the buyer and told him I also had four bar stools for sale and asked if he wanted pictures. He said yes and then decided to throw them in for another $400. So that was $2,200 on a $100 purchase! But it still gets better because I made some more money on shipping. A big misunderstanding is that shipping will cause someone to lose money. I can't remember the last time I lost money on shipping an item. I will either break even, or make a little extra. I tend to make a little more money on shipping my large items since it costs me in packaging materials and time to box or pallet an item. It turned out that this buyer lived less than three hours away so I decided to deliver it myself. It cost me about $100 in gas to deliver it and I charged $500 for shipping. 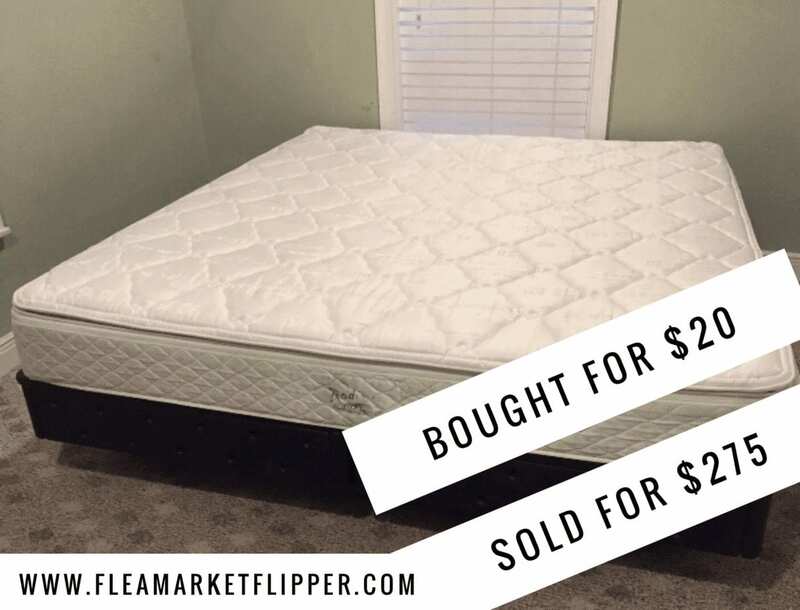 The last sale for the month was a tried and true sleep number mattress cover. Just when I think they are all gone, I find another one ready to list! I paid $20 for the cover piece and sold it on eBay for $275. Not one of our highest months, but we'll take it for also having an emergency trip out of town. We were able to see some of Melissa's family in Michigan, and I spent some time in her uncle's awesome shop working on our truck. We really value the time we get to spend as a family. And while we aren't making millions of dollars at this flipping gig, we will take our time together over that any day. We feel very blessed that we get to do this as our job, and we hope to also help some of you make an income doing something you love. 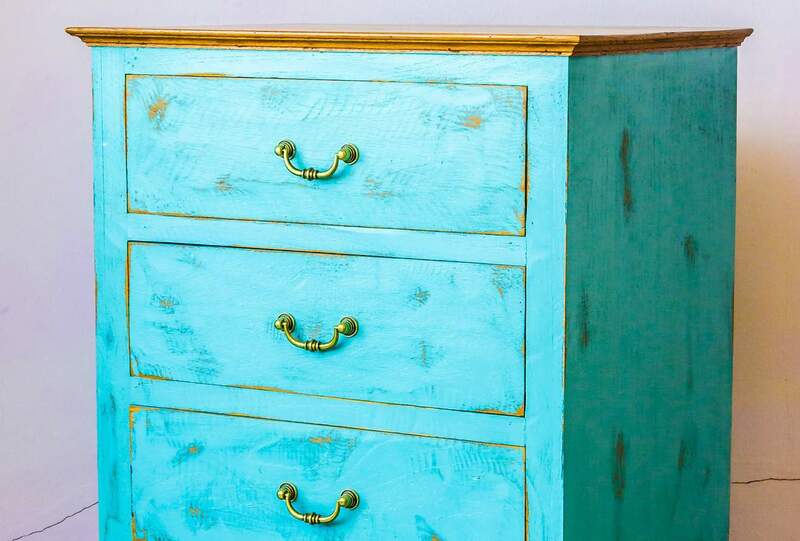 We recently felt a push to help furniture flippers (and any other large item reseller) get their pieces to a larger audience and increase their profits. We have a 6 week masterclass starting Nov. 2nd for people in this area of flipping. 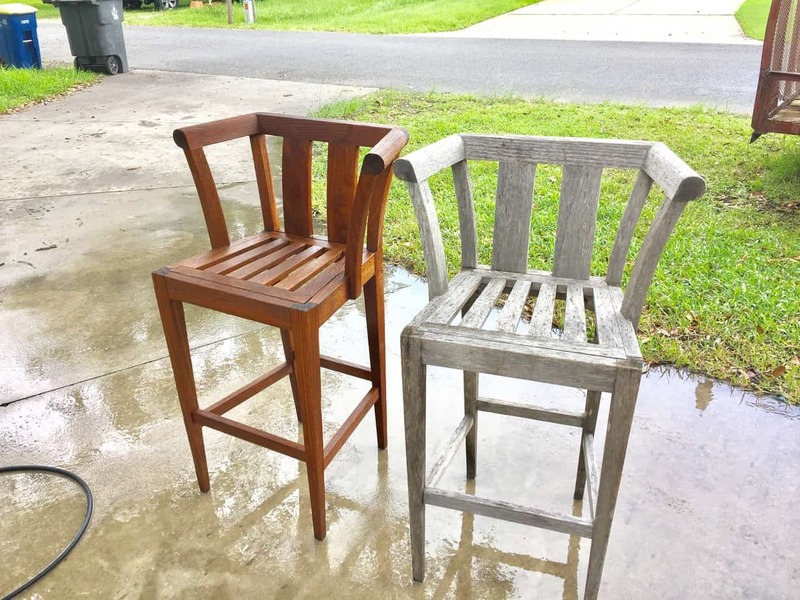 Check out more details here if you are a furniture flipper (or want to be a large item flipper) and would like to increase your profits. If that might not be your cup of tea at the moment, we would still love to give you a free gift. You can download our PDF: 3 Ways to Save Money on Shipping Items. This will be sent to your e-mail and will also subscribe you to our flea market flips and eBay tips updates. We promise not to overload your inbox- we can't stand that either! FAQ Does buying and reselling take advantage of people? I loved this post so very cool you found those generators. Wow, that’s inspiring that you were able to do that well. In looking through some of your articles, you guys are really talented. thanks Patrick! It is what I am really passionate about (basically treasure hunting), so I enjoy it a lot.